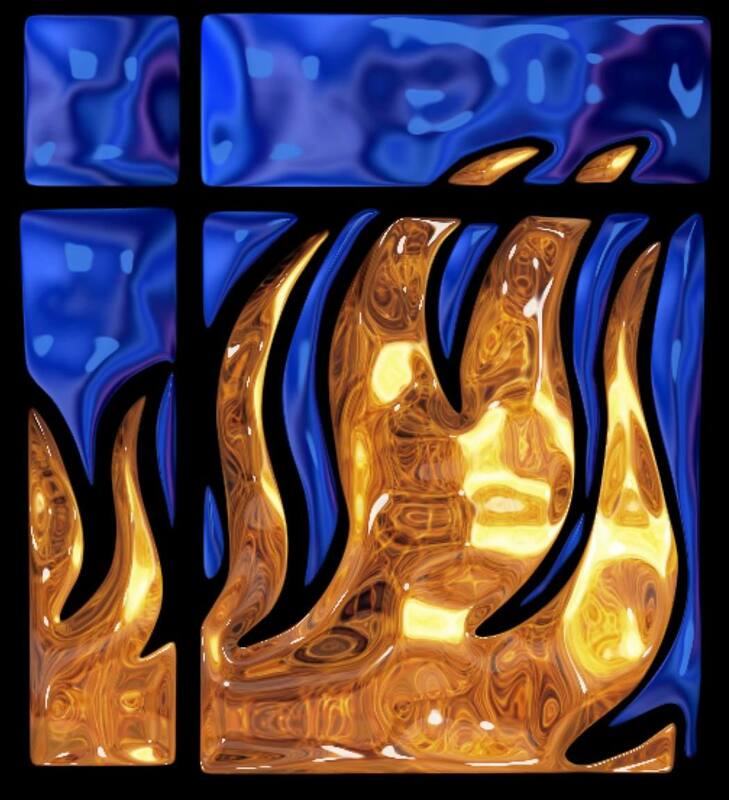 Today’s readings focus on fire and judgment. While the passage last Sunday from Luke spoke of being ready for God’s Kingdom that will come when we least expect it, today Jesus speaks of the end of an age and the need for repentance. Jesus recalls the fire of judgment of which John the Baptist spoke (3:9, 16-17). Jesus expresses the intensity with which he approaches the death foreordained for him at his baptism. The immediate effect of Jesus’ mission will not be peace, but division. It is warning that the coming of God’s new world will bring division and conflict. Jesus proclaims that he comes “to bring fire to the earth” (v. 49). In biblical usage fire represents the Divine action in the world, often in terms of purifying judgment. God is described as a “devouring fire” in Deuteronomy 4:24, and a “consuming fire” soon after today’s excerpt heard from Hebrews (12:29). In these instances, fire symbolizes destruction because of its power to consume and extinguish evil. With think of Jesus as ushering peace into the world. However, like John the Baptist, he calls for repentance. Turning away from the past and turning toward God. This will bring about peace, but it will also bring about divisions, even among family members. The peace that Jesus brings comes with a cost. But do not despair. Paul’s letter to the Hebrews brings encouragement. Those who strive to be faithful disciples have the inspiration of past generations. Paul mentions countless men and women who performed mighty deeds through faith. Being “surrounded by so great a cloud of witnesses,” we (the current generation) can persevere in the race that is set before [us] (v. 12:1). Those who have already gained sanctity are helping us now to lay aside burdens and sins. In the circle of life we each have a special gift, a special function. In the Native worldview there is no in or out; everyone in the circle is necessary. The gift and function of each person are necessary for the benefit of the whole family of human beings and those that walk, crawl, swim, and fly. We are all relatives. It is this wisdom of compassion, seeing things in their balance, that is so significant in turning aside illusions of scarcity and bringing peace to our own hearts. More important that the example of our ancestors is that of Jesus himself. He endured the same and persecution of the Cross for the ultimate joy of taking his place at the “right hand of the throne of God. (12:2b). What is the fire that Jesus brings? What is the nature of baptism that Jesus proclaims in verse 50? How is our own baptism similar and yet different from the baptism that Jesus describes here? Jesus says that he comes to bring division and not peace. What are the divisions that result from Christ’s ministry? How do these separations manifest themselves today? How are we personally called to mend these divisions? In what sense did Jesus truly bring peace among his people? In what ways have you experienced the division of which Jesus speaks? In what ways have you experienced the peace of which the angels sang? This entry was posted in Ordinary Time and tagged Baptism, Christ, cloud of witnesses, Epistle to the Hebrews, John the Baptist, Last Judgment, Luke, Paul. Bookmark the permalink.